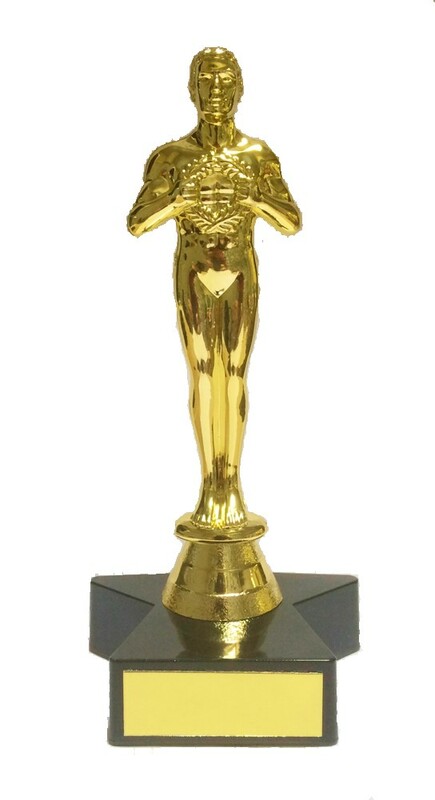 Oscar Style Achievement Award on a Black Star Base. 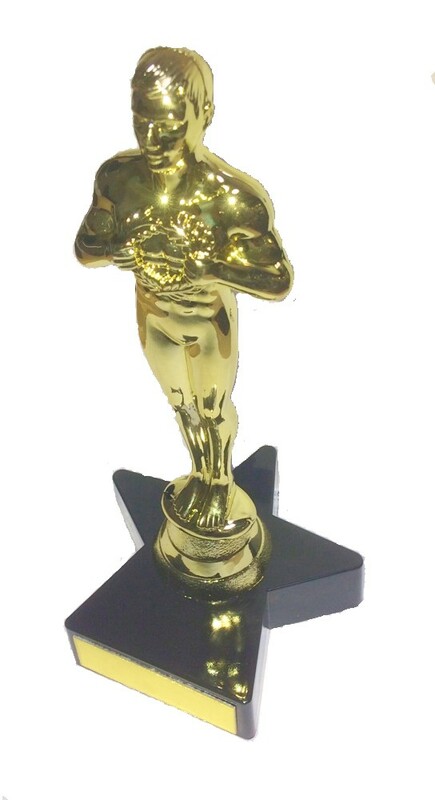 This amazing award is available in 2 sizes, 7 inch and 9 inches high, gold solid plastic achievement figure on a unique resin black star base. Makes for a truly stunning stand out award.